Poster for the Open Dutch 2019 is ready! Preparations for the Open Dutch 2019 are underway. We just received the poster for the 2019 edition and 2CREATE and Jos Klijn have done a great job with the design and the pictures. Thanks for your help. We hope you like the poster as much as we do, and we hope to see you all on Saturday the 26th of January! Please mark your calendar, and please note the day of the week has changed from a Sunday to a Saturday to make it even easier for our international visitors to attend! 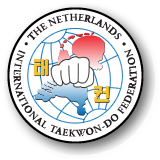 Open-Dutch 2019 invitation is available! Kevin Walllace on Open Dutch 2020 Poster is ready!